I am so glad I committed to memorize the Word of God when I was young. These Scriptures are still part of my life today. I usually memorized Scriptures that were important to me, but I also used the Navigator’s Scripture memory program. My father and I used to memorize Scriptures together. He passed away at nearly 92 years of age but was still memorizing Scriptures until a few months before he went to be with Jesus. He didn’t only quote verses; he quoted whole chapters of the Bible. I am sure that his continual memorizing and reviewing of the Scriptures is what kept his mind so clear and sharp right up to the end. In Deuteronomy 31:19 God told Moses, “Set down a song in writing, and teach the people to know it by heart and sing it; a song that will vindicate me against the sons of Israel.” God wanted His people to remember the important things He had to say to them. He wanted them to memorize them by heart. God knew the best way for the Israelites to remember would be through song. We memorize songs more easily than anything else. Recently I asked the readers on my Email Devotion list to share ideas they use to help their children memorize the Word of God. I received a wonderful response. Many who responded also shared that they love to sing the Scriptures as they learn them and teach them to their children. You can put the words to a catchy or existing tune, or make up a new tune. The following are a few of the other ideas that our readers sent in. I trust they will inspire you in your important task of teaching your children to memorize the Scriptures. I buy a clear table cloth cover and place homemade Scripture verses with graphics underneath the clear plastic. For example: “Your word (use a picture of a Bible) have I hid in my heart (picture of heart) that I may not sin (use an ugly heart or other representation of sin) against God (use a light or other picture that could represent God).” The words are superimposed over the pictures. When the children come to eat, set the table or clean off the table, God’s Word is in front of them. I covered the Bibles with beautiful pictures featuring Bible stories and then with clear plastic. I highlighted all the verses from the CD in the Bibles and the children used them for song books in family worship. It was a wonderful thing to see our children become familiar with the Bible. The Bibles became rather tousled and used looking but I know that that is how God would have them be. We also bought little pocket Bibles and highlighted these verses. We used them as song books when we went out on the boat, biking, horse riding or camping. It’s as fun as you can make it and makes the Word part of our children’s lives, not just something for taking to church or family worship. We also made a variety of games from these verses. A cheap one was printing the verses on to card in relatively large print with gaps between each verse. (Don’t include the verse number.) Cover this with clear plastic and cut apart. Attach magnetic dots or strips to the back of each verse and muddle them all up. The child then has to put them into correct order on a little child sized magnetic board. (We made some from flat tin and covered the edges with rubber edging from Payless Plastics, NZ.) Keep each set of verses in a Ziploc bag with a recipe card text written on it so that they can check themselves. Chose a section of Scripture, approximately 12 – 14 verses, and make it the focus for a term. Write it out on A4 (8 x 10 USA) sheets of paper in light printing for little children to copy over for penmanship. Leave a blank line underneath each line for slightly older children to copy the verses underneath for penmanship. Older children can copy it from their Bibles. I give a sticker for every nicely finished copy of the verse they write. We also read the whole section through every morning for Family Worship and focus on one verse for memorization for a week. That way, by the end of the term they would have written the whole verse many times, read in its entirety dozens of times, and memorized it. It is important to read the WHOLE section each day, otherwise the last few verses are only heard for a few weeks instead of for the whole term. For a finishing touch at the end of the term, they can copy the verse onto a recipe type card, decorate it, and file in their special “Memorized Scripture Box.” From time to time you will need to revise previously learned portions. We learned the whole Sermon on the Mount over a two year period using this system. Buy Scripture song tapes and have them available for the children to listen to whenever they want. A great set that we used are available from www.amazingfacts.org. Each set is only $12.95. The set contains a colouring book and audiotape. Our children learnt The 10 Commandments, 1 Corinthians 13, The Beatitudes, Isaiah 53, The Lord’s Prayer, Psalm 23, Psalm 91 and Psalm 139 listening to these. It is a computer program that works for reading children as well as adults. Non-readers can do it with help. There are four translations of the Bible available. There are 48 topics such as love, diligence, anger, tongue and there are over 500 verses. You can do it only on computer, or print out cards to take with you as a review. It uses pictures as a prompt. You can practice the verse by typing it, and you can make personal notes concerning each verse. After each verse is memorized, it will recycle and come up for review. It only takes about five minutes each day. We purchased this for our children four or five years ago. I began using it as well, and God began to direct me to verses that helped change my heart. He did the same with my husband. God has changed our hearts and our home! My husband is so enthusiastic about PC Memlok that he buys several at a time to give or sell to interested friends. I write my verses on ‘Post it’ notes and put them on the mirror behind my changing table. I read them out loud to my one year old as I change her diaper. It seems to amuse her and I get something accomplished at the same time. Who knows, maybe one day she’ll say the verses back to me. To help motivate my children memorize their daily and weekly Bible verses I cut out many circles from colored construction paper. The children each take one circle and make a caterpillar head with a face and antennae on it. I write their name on the bottom and stuck them to our kitchen wall right across from the meal table. Each time they memorize a Scripture they write it out on a “body piece” (a brightly colored circle) and add it to the body of their caterpillar. They love to beat each other and they now have the longest most colorful caterpillar wrappings around the whole kitchen. It is a visual reminder every day that they need to work on their memory verses. I make up songs, chants, and marches. My three year old son’s favorite is, “Even the winds and the waves obey Him.” He sways and waves his whole body as he says it, but most importantly he knows it. Rewarding them is important also. My husband takes them to Sonic and buys them ice cream for memorizing an entire chapter. Sometimes he makes them say it for the car hop. Christian or non-Christian, they stand in amazement to hear a nine year old rattle off Exodus 20. My 12 year old is turning all the books of the Old Testament into a rap song. He said the “uhs” of the Minor Prophets help it along. Most of all, it must be fun and never a drudgery, God’s word is alive! This past year, our family and two other families, have started a Bible Memory Club. We call the club Hide and Seek Club. Our goal is to get together and memorize passages of Scripture. God has blessed us more than we hoped or imagined. We have 10 children involved, ranging in age from 2 – 10, and all of them memorize God’s word in big chunks. The two year olds can’t talk yet but they do the motions. We pick passages that Jesus would have known or said and pick key words that we add sign language to. We get together and recite the verses together. We also have a sticker chart when they are successfully memorized. In nine months these children have learned: Psalm 1, Matthew 5:1-20, Psalm 19:7-14, Deuteronomy 6:3-9, Mark 12:28-33, The 10 commandments, and all the books of the Bible. Their mothers, whose memories aren’t near as sharp as the children’s, are also learning the verses. Our club visits a local nursing home once a month where we recite all our verses to the residents and also play games with them. It is amazing the deep spiritual connections children can make when they are memorizing Scripture. My 10 year old son memorized the Shema (Deuteronomy 6:4-9). Later we were reading Proverbs 3 which talks about binding God’s word to your hearts and he said, “That sounds just like the Shema.” God’s Word is a wonderful teacher. Write them on your doorposts and gates! Deuteronomy 6:6-9 NLT tells us, “Commit yourselves wholeheartedly to these commands… Repeat them again and again to your children… Write them on the doorposts of your house and on your gates.” In our home this means walls. I print verses in big, pretty (but easy to read) fonts with maybe a cute picture or two to add interest. I slip these into plastic page protectors and use that gooey poster stuff to tack them on the walls, cabinets, doors etc. These can be changed very easily. I also have a chalk board that I put a new verse on every week. Currently only my eight year old can read, but since these verses are right in front of my little ones, they ask big sissy or mommy to read them. They begin to know which verses are which, just by sight. I am also currently painting Mark 12:30 on the wall area above my cabinets in the kitchen. Little ones love to be active and get their bodies moving. Whenever I choose a verse to memorize that could have any sort of movement involved, we add it in. For example, when memorizing Mark 12:30 we made up motions for: love (cross arms in front of your heart), Lord (point up to the sky), heart (point to heart), soul (point up and down the whole body in a sweeping motion), mind (point to head) and strength (flex arm muscles—the children love this part!) My little ones LOVE to “show” family and friends the new verse they memorized. We choose a chunk of Scripture for the month, usually around 10-15 verses. I try to put the tone of the Scripture in context when we first read it. If it is something exciting the apostle Paul is telling a church, I am excited when I read it. If it is words of sadness from a Psalm, I am sad when I read it. This helps the children to connect with it. We recite the passage each morning when we start school. The seven year old uses this for her copy work twice each week throughout the month. Since Scripture is the cornerstone for our lives, we should always have it instantly accessible to our hearts, our minds and our tongues. When we have decisions to make, what impressions will come to mind? It will be the ones we have taken the time to hide in our hearts. Children are like sponges, ready to soak up Scripture. We need to make it a priority and a regular habit! A non-reading preschooler can memorize Bible verses by listening to you say them over and over, and eventually repeating after you phrase by phrase. Before I ever had children, I remember my friend Mel telling me that her two-year-old daughter had memorized a large portion of Proverbs chapter 2 by overhearing her two older brothers do their memory work each day. If an older child is memorizing more than one verse in a passage over a period of days, he can recite as much as he knows every day, and then add a little bit more. If there are any words that your child doesn’t understand, take the time to explain them to him, and see if he can tell you what they mean in his own words. How can this Bible verse be applied in his life? 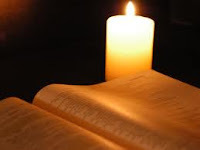 This is a vital time to learn basic theological words like: Heaven, eternal, everlasting, faith, mercy, grace, sin, transgression, deceive, salvation, sacrifice, Lamb of God, high priest, Pharisee, Gentile, ransom, redeem, witness, holy, pure, righteous, obedient, command, exhort, evangelize, and gospel. Simple games can also be quite effective for teaching Scripture memory. Write the verse on a chalkboard or a whiteboard. Erase one word at a time, and try to recite it from memory. Write a verse in large letters on paper, and then cut it apart. Can your child arrange it in the correct order? (For more adventure, hide the pieces around the room first!) Or, for an even more tactile experience, write each word of the verse on a different pebble. A kinesthetic child might want to recite the verse while jumping rope. You can make your own using index cards. If you want them to look professional, you can print them from your computer on special business card paper. Fold over several sheets of paper and staple at the edge. Write out a Bible passage in large letters throughout the pages, and draw simple illustrations. Read through the book every day for a few weeks with your child and see how easily he/she remembers the verses. Let your older child copy the verse several times, first looking at the text, and later doing it from memory. Check periodically to see if your child can say the verses from memory. Go back to the verses you have learned in past weeks and months. If you don’t take the effort to make this a priority, it is unlikely that your child will stick with Bible memory. Many families have quiz nights, or brief daily review times. My only caveat about using games or other memory activities is that some are so silly that they trivialize Scripture. A memory method should help your child focus on the true meaning of Scripture rather than distract him with puns that l put distorted images into his head. Paul looked at me disbelievingly. However, in one week’s time, both Jonathan (5) and Andrew (7) quoted the verse from memory. Paul was amazed. He immediately wanted to know how they had learnt it so quickly. I told him they could almost have quoted it after two days. When I first started I asked the Lord to show me how to teach the Scriptures and the thought came to teach the verse in song. As I had no idea how to put a 52-word verse to music I asked God for a tune. As I sat looking at the verse a tune began to come to mind that fitted the verse beautifully. I began to realize that this time spent with the children each day (sometimes only about 10 minutes) to learn a verse of Scripture was more important than most other things I did for my children. Our daily “verse time” as we call it has become an easy and fun way to memorize Scriptures. When the children were younger I wrote the verse on a large piece of cardboard but nowadays we all look it up in our Bibles. We discuss the meaning of the verse (sometimes I tell a story to apply it) and then we sing the verse a few times. Finally we discuss how we can put the verse into practice. Mothers, I believe we have been privileged by God to have the strongest influence in our child’s life – either for good or evil. We need to take the role God has given us very seriously. I’d encourage you to ask the Lord for your own tunes to Scripture verses. Invest this small, but important amount of time each day with your children, teaching them to memorize Scriptures. This will help them to develop their lives on a solid foundation of God’s Word.